Home > Contents > Can I add an external blog? Q.Can I add an external blog? You can. To add an external blog to your website, navigate to Design → Layout. Find one of the Blog elements in any section of this page, and click the button to edit this element. 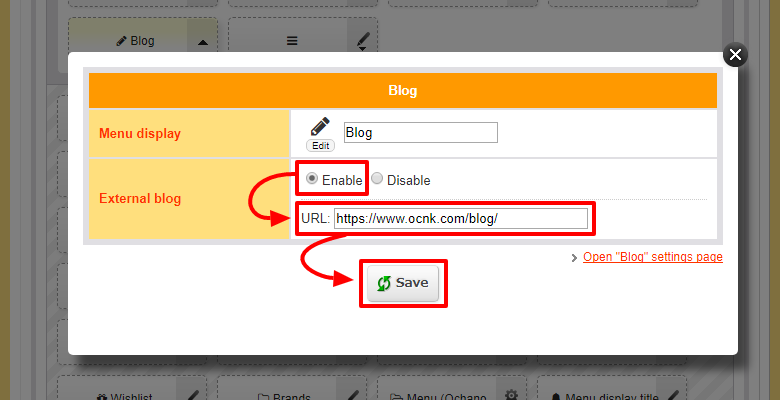 Select Enable in the External blog field, then enter your blog's RSS URL and click (Save). In this case, there will be an additional field in the Blog element that allows you to select how many entries you wish to display.